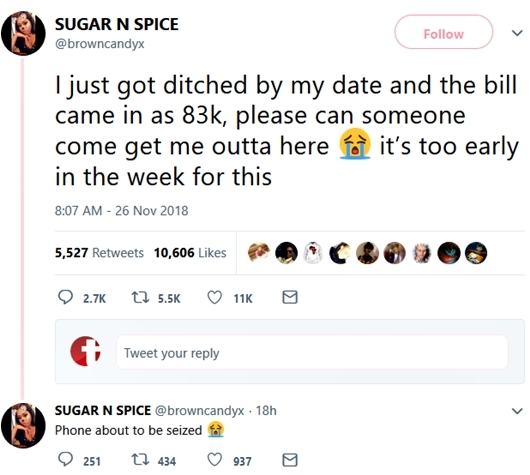 A Twitter user identified simply as Sugar N Spice (@browncandyx), had last night taken to the social networking platform to call for help as her date night went awry. 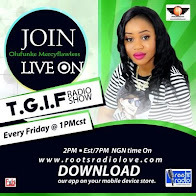 The pretty lady revealed that she had received a huge bill of N83,000 after her date abandoned her at a restaurant. 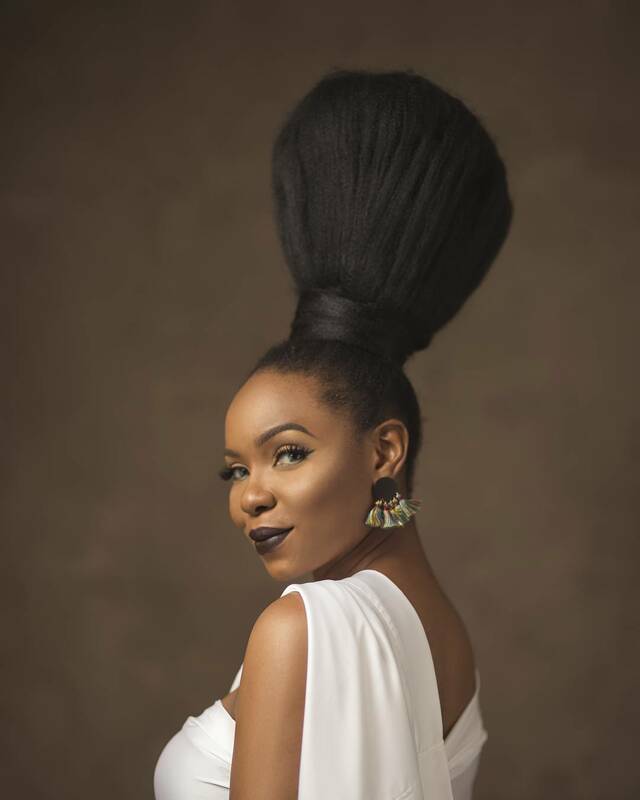 She called on Nigerians to come to her rescue after revealing that her phone was about to be seized from her. 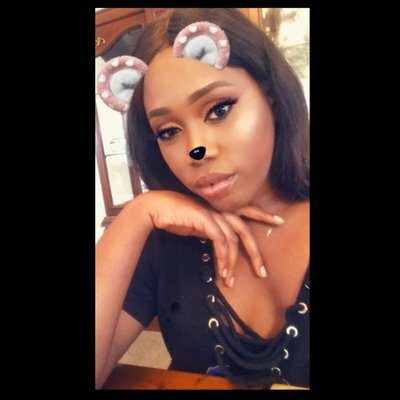 She wrote: "I just got ditched by my date and the bill came in as 83k, please can someone come get me outta here it’s too early in the week for this." "Phone about to be seized," added.